Can The New Populist Mexican President Live Up To Anti-Corruption Promises? Mexico is notorious for its corrupt politics. According to a very recent study from Etellekt, a Mexican crisis management firm, it’s been reported that over 145 politicians — including 48 presidential candidates and affiliated campaign staffers — were savagely murdered by the country’s all-powerful drug cartels. During the lead up to this week’s election, the bloodshed left Mexico with 22 of their 31 states with dozens of political assassinations since the campaigns began September of last year. 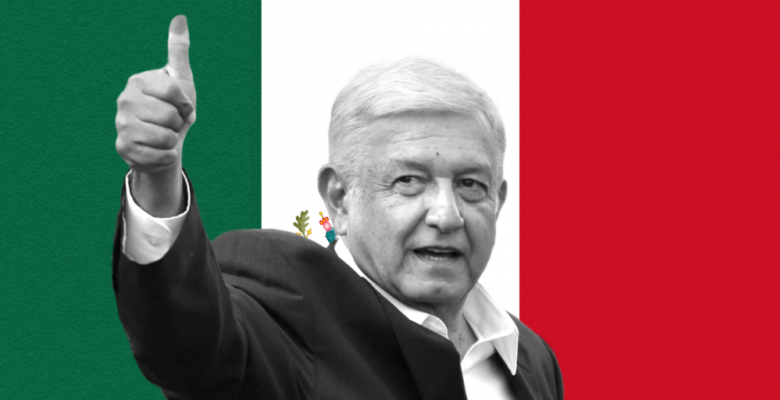 Citizens, enraged by this wave of violence in which their corrupt political establishment is complicit, chose left-wing populist candidate Andrés Manuel López Obrador as the country’s latest president, the expected choice per The New York Times and Axios. Succeeding President Enrique Peña Nieto, former leader of the notoriously corrupt Institutional Revolutionary Party (PRI), who left office with a rather dismal 17 percent approval rating and a legacy of scandals surrounding state corruption between police and cartels, voters have now handed their leftist firebrand a mandate to enact serious changes throughout the country. This was a landslide victory of 30 percent over conservative challengers Ricardo Anaya of the National Action Party and Peña Nieto’s party successor José Antonio Meade. While ALMO’s party doesn’t hold the majority of Mexico’s Congress, a coalition among centrist, left-wing and more far-left parties such as Labor could bring forth serious political changes. Mexico’s working class surely don’t appreciate being the cheap labor result of globalist-libertarianism. Whether Trump does pull the trigger on NAFTA withdrawals, an act of leverage the president could use, it’s unlikely to have an effect on ALMO. He’ll probably cheer the president on if concessions push for mutual higher labor standards in living wage requirements and union rights, among other policies. According to a White House source who recently spoke with The Wall Street Journal, America’s call for higher living standards across NAFTA nations was reportedly sabotaged by Pena Nieto’s more pro-business administration. These are minor issues compared to the president-elect’s real problem: this seemingly never-ending war on drugs (where both participating governments, Mexico and the United States, have lost time and time again). Following 12 years of heavy-handed policies taking on the drug-trade, showing little results besides 200,000 lives taken in the last decade, ALMO proposed this radical solution: amnesty. But for whom exactly? Well, reports vary. The policy could apply anywhere from low-level drug crimes to the most corrupt of the bunch including drug kingpins, compromised politicians and security forces who, for over a decade, have waged war with near impunity. Voters should concern themselves with whether such an approach to crime is both practical and moral. Under the previous government, Mexico saw the kidnapping of 43 student protestors reportedly sold into human-drug trafficking under the wrath of the Guerreros Unidos (“United Warriors”), a local criminal organization with alleged ties to the state and police, armed with military equipment during the time of the crime. This is a legitimate reality for families in the region. The idea these victims and families would have perpetrators walk free without any justice seems wrong. Alternatively, how else can a politician take on a $40 billion illicit industry? If not arrests, can giving criminals “a way out,” without a strike to their name, be enough to have them give up their empires? 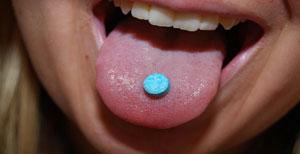 Should the government pass sweeping libertarian drug laws, perhaps it’s the best they can hope for. It’s just undoubtedly hard to reconcile López Obrador’s vows for a truly “honest government” with pardons for the corrupt. It echoes of President Barack Obama’s decision to avoid investigations of the previous Bush administration following their numerous Iraqi-Afghan torture scandals. In a room to reporters, the president told reporters America is a country that “looks forward, not back,” signaling acceptance for wrongful behavior that allowed for continued captives in Guantanamo Bay without basic human rights or due process. When does amnesty cross the line into endorsement? If López Obrador wants forgiveness to embody his “república amorosa” (“loving republic”), a country where Mexicans “live under the principle that being good is the only way to be joyful,” it can’t fall into the paradox of allowing others to break the law and destroy people’s lives. With such a large mandate, the president-elect, without policy victories to his name just yet, should expect all hostile eyes on him — whether it’s from the cartels or the expecting voting populace themselves.